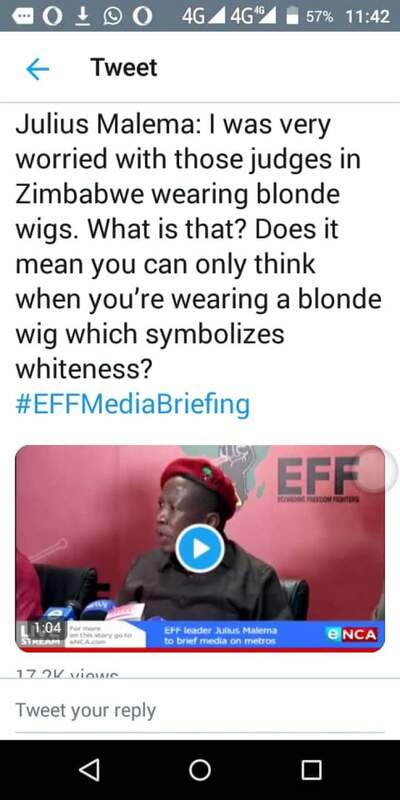 Economic Freedom Fighters (EFF) leader Julias Malema has blasted Zimbabwean Judiciary for wearing wigs. 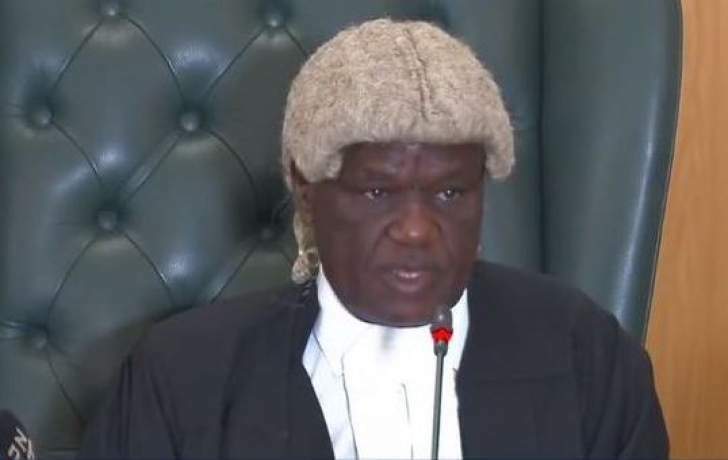 "I am worried with those judges in Zimbabwe wearing blonde wigs.What is that?Does it mean you can only think when you're wearing a blonde wig which symbolizes whiteness." Until the seventeenth century, lawyers were expected to appear in court with clean, short hair and beards. Wigs made their first appearance in a courtroom purely and simply because that’s what was being worn outside it; the reign of Charles II (1660-1685) made wigs essential wear for polite society. The judiciary, however, took some time to convince; portraits of judges from the early 1680s still show judges defiantly sporting their own natural hair, and wigs do not seem to have been adopted wholesale until 1685. The reign of George III (1760-1820) saw wigs gradually go out of fashion. By the end of the century they were mainly worn by bishops, coachmen and the legal profession - and even bishops were given permission to stop wearing wigs in the 1830s. Judges wore only full-bottomed wigs until the 1780s, when the less formal, and smaller, bob-wig, with frizzed sides rather than curls, and a short tail or queue at the back, was adopted for civil trials.